The All New 2018 Ford Expedition Limited Max Is One Sweet Ride! 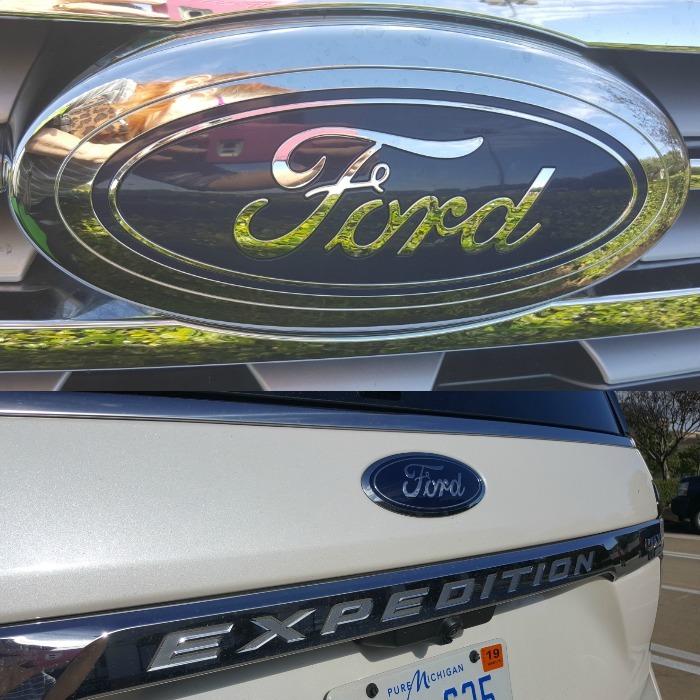 You are here: Home / Instagram / The All New 2018 Ford Expedition Limited Max Is One Sweet Ride! Ford sends me their cars to test drive for a few days and boy do I get excited when they send me their brand new cars! 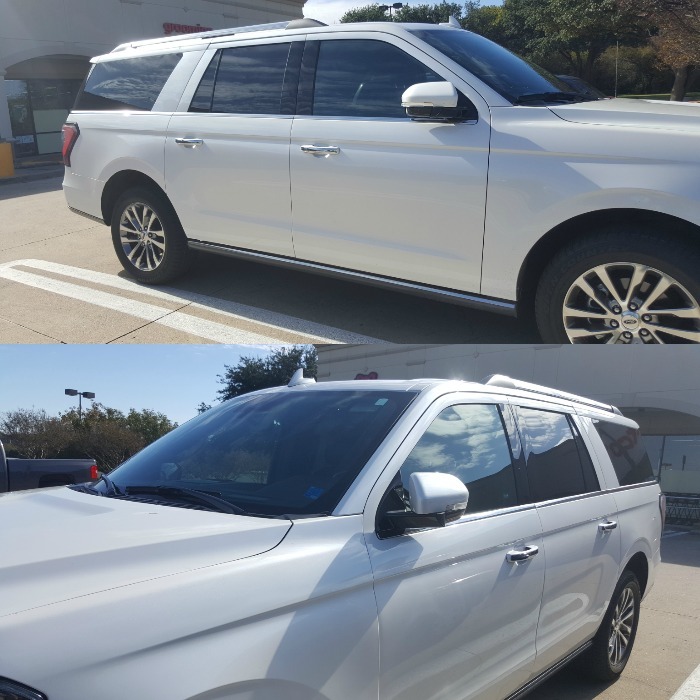 This time it was the All New 2018 Ford Expedition Limited Max! I have to say – at first it felt like a BOAT! I got used to it after a few days but, I was nervous with how big it was. It is super spacious inside, no one was complaining about leg or arm room. It has ALL the bells and whistles and I loved playing with every feature! Some of my favorites were – the heated and cooled seats, the automatic running boards – they were slick :), being able to change the position of the steering wheel to match the positioning of the seat, and the automatic parallel parking is pretty cool, too, let me tell you! Overall it was a joy to drive! One other cool thing I liked besides the push button ignition (I know a lot of cars have those, but, I still think it’s cool 🙂 ), is this nifty little gear shifter dial! The 2018 Ford Expedition Limited Max is Ford’s all-new Expedition that has been redesigned in and out. Resigned with aluminum to save weight and make it easier to drive and has been loaded with the latest technology to make your life easier. Finding a comfortable seating position when driving is easy with the Expedition Limited Max as it has 10-way power-adjustable front seats, power-adjustable pedals, and power-adjustable steering wheel. 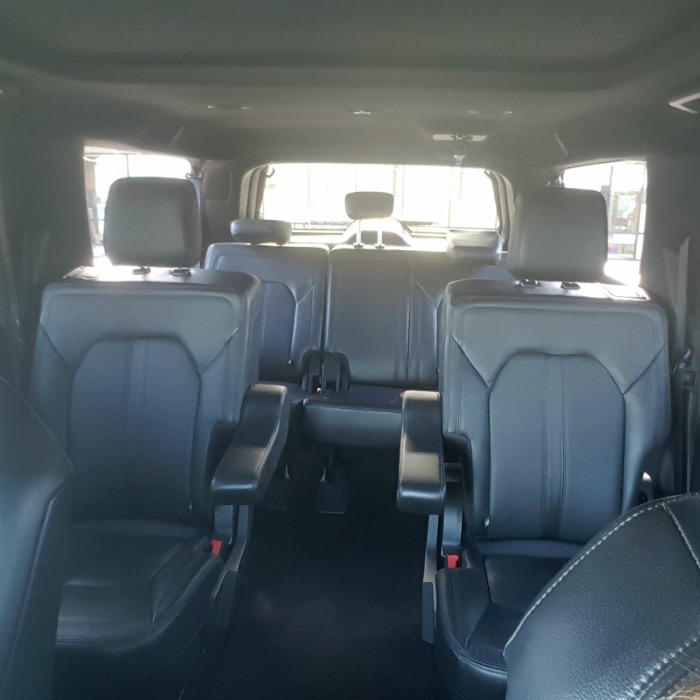 The seats are leather-trimmed and there are dual-zone automatic climate control and a seven-color ambient lighting system that offers plenty of comfort not only for the driver but also the passengers. At first, I was so nervous to drive around this spacious SUV — but I was surprised that it is easier to maneuver even in small spaces than what I anticipated. The ride is super comfortable! 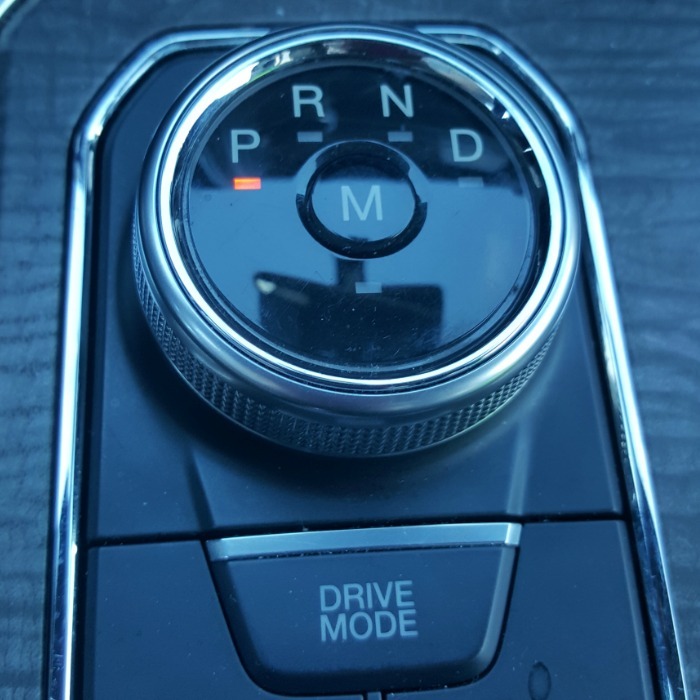 The 10-speed automatic is smooth and shifts easily. The 2018 Ford Expedition Limited Max is packed with major features that you won’t find in other SUVs. Long drive? No problem! With an available SYNC® Connect, you can enjoy an in-vehicle Wi-FI hotspot. It has a 4G LTE Wi-FI hotspot that allows up to 10 devices to connect at once. Which comes in super handy with several passengers and video games, tablets, phones, and laptops! The Limited Max also comes with Ford’s Sync 3 multimedia system that includes Apple CarPlay, Sirius XM Satellite Radio, and Android Auto and is displayed on an 8.0-inch touchscreen. The Ford+Alexa brings Amazon Alexa services into your expedition. This allows you to control the voice-activated navigation system and a 3D map. There are also USB ports and power outlets although out the vehicle, including the third row! This is the feature I love the most since I am always carrying loads of groceries and goodies, especially when there are a lot of FREEbies and goodies available. The available foot-activated power lift gate makes it easier to load and unload cargo with a simple motion. If you are carrying large items with both hands, the hands-free foot-activated power lift gate will open and close by just waving your foot under the bumper. The Limited Max has the standard front and rear parking sensors and optional surround-view camera system that comes in handy when parking or in tight spaces. Even better, there is also a cross-traffic alert system that lets you know when anything is approaching your SUV when you are pulling out of parking spaces or congested areas. This SUV also comes with an available Driver Assistance Package that consists of additional driver-assist technologies, including a lane keeping system, an adaptive cruise control system with a stop-and-go capability, a forward collision warning system, automatic high-beams, automatic emergency braking with pedestrian detection, and rain-sensing windshield wipers. The Driver Alert system will buzz you if the system detects any irregular driving and the SOS post-crash alert will notify the authorities if the car is involved in any accident. I absolutely enjoyed my week driving this spacious luxury feeling vehicle. For families looking a vehicle with a larger cargo option and packed with the state-of-the-art technology, the 2018 Ford Expedition Limited Max is one of the best choices available. Stop by your local For dealer to take a test drive!